I'm not really up for making resolutions for the whole year this 2012. I still need to work on a lot of stuff left over from last year. Instead, I think I'll make monthly resolutions. For January, I need to create a master to-do list ... I have about 4 or 5 notebooks worth that need consolidating. I should probably finish sending out the Christmas cards which will now include Happy New Year greetings. I'm not going to worry about exercising until February when the gym will once again be quiet. While I'm feeling anti-resolution, there is one resolution I have made for 2012 that I look forward to every night with the boys. We're reading "The Golden Book of 365 Stories." 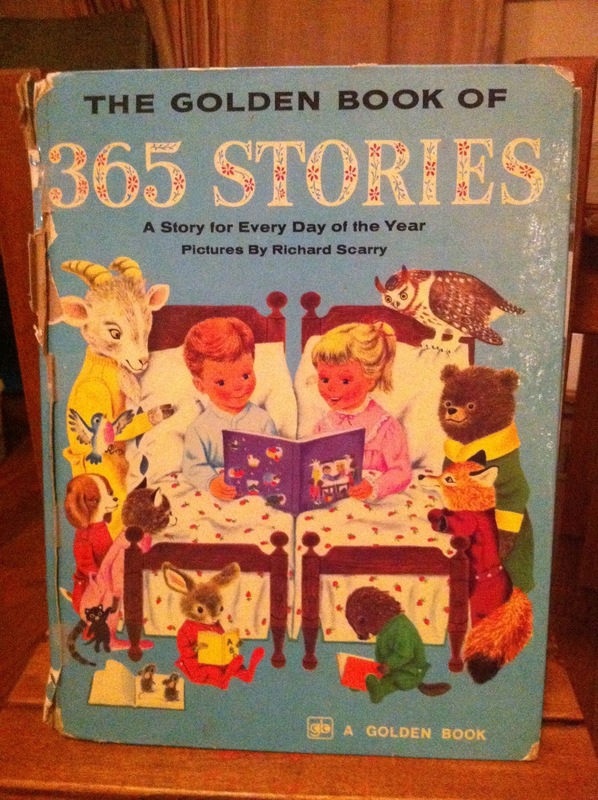 There is a short story or poem for each day of the year. Chris received the book for Christmas way back in 1974. How special it was to watch Chris read the first few days to his own boys. 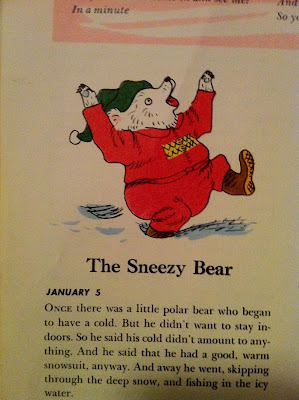 Today's story was "The Sneezy Bear," a nice tale about keeping your germs to yourself! Recognized the illustrations? Early Richard Scarry work! Love!